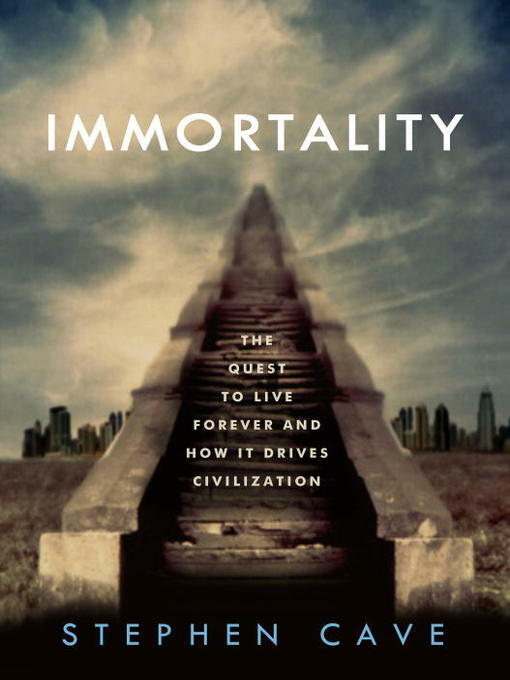 A fascinating work of popular philosophy and history that both enlightens and entertains, Stephen Cave's Immortality investigates whether it just might be possible to live forever and whether we should want to. But it also makes a powerful argument, which is that it's our very preoccupation with defying mortality that drives civilization. Central to this book is the metaphor of a mountaintop where one can find the Immortals. Since the dawn of humanity, everyone -- whether they know it or not -- has been trying to climb that mountain. But there are only four paths up its treacherous slope, and there have only ever been four paths. Throughout history, people have wagered everything on their choice of the correct path, and fought wars against those who've chosen differently. In drawing back the curtain on what compels humans to "keep on keeping on," Cave engages the reader in a number of mind-bending thought experiments. He teases out the implications of each immortality gambit, asking, for example, how long a person would live if they did manage to acquire a perfectly disease-free body. Or what would happen if a super-being tried to round up the atomic constituents of all who've died in order to resurrect them. Or what our loved ones would really be doing in heaven if it does exist. Or what part of us actually lives in a work of art, and how long that work of art can survive. Toward the the book's end, we're confronted with a series of brain-rattling questions: What would happen if tomorrow humanity discovered that there is no life but this one? Would people continue to care about their favorite sports team, please their boss, vie for the title of Year's Best Salesman? Would three-hundred-year projects still get started? If the four paths up the Mount of the Immortals lead nowhere -- if there is no getting up to the summit -- is there still reason to live? And can civilization survive?